Lots of vegans complain about vegan pancakes being too gummy or rubbery. 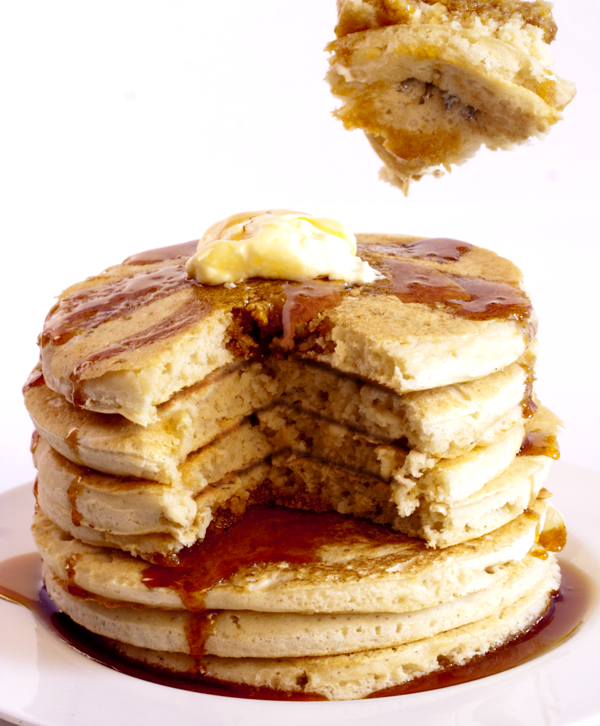 And those that really love pancakes are always on the search for that perfect vegan pancake recipe. The search stops here. I promise you, these are the lightest and fluffiest vegan pancakes you will ever eat. Besides the recipe I give you some helpful tips for achieving a perfect vegan pancake. Want to know what others thought about this recipe? Would you like to comment on this recipe? Go to the Light & Fluffy Vegan Pancakes blog entry. In any case, place the skillet on the stove, spray it with a bit of canola oil and turn it on high for a minute or two to get it heated. Turn it down to medium-low heat and pour 1/3 cup of the batter onto the skillet. 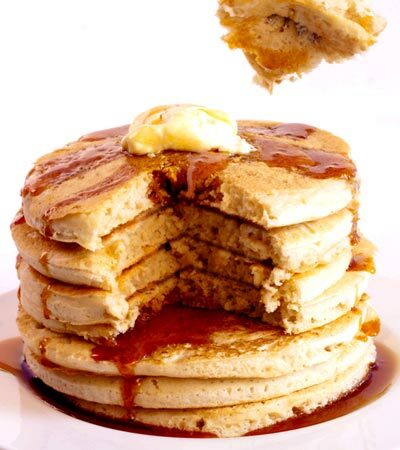 After a few minutes take a peek at the bottom of the pancake to make sure it's not burning. I like to see bubbles come to the top surface of the pancake before I flip it over, which means it's almost cooked in the middle. Then flip and cook until golden brown on the other side.